Laila Alawa is a 25-year-old Muslim woman living in D.C. Troy Pflum is a 49-year-old Lutheran man living in Wisconsin. She's a moderate who voted for Hillary. He's a Republican who voted for Trump. But Pflum, a truck driver and jewelry salesman, has become an important Twitter ally to Alawa. Alawa is the founder of The Tempest, a media platform that gives voice to millennial women of all ethnic backgrounds. 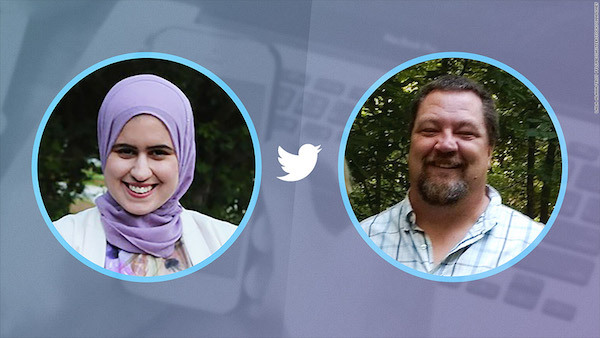 Alawa, who has more than 22,000 followers on Twitter, is Syrian. She was born in Denmark, lived in Japan for several years, then immigrated to the United States as a child. Her religion, her appearance, and her outspoken nature have made her the recipient of a lot of Twitter vitriol, including death threats. Pflum, who has just under 2,000 followers, acknowledged that "Twitter has a problem" with trolls. Pflum isn't alone in this belief. The platform is often criticized for its slow, sometimes nonexistent, response to online threats and harassment. CNNTech has previously covered the barrage of hate tweets hurled at Alawa. "I hope you die slowly in a pool of pigs blood," and "Can I use that towel on your head to wipe my a**" were just a couple. Pflum, who has three teenage girls, often sweeps in to help Alawa fend off her trolls. "If someone starts attacking her, I'll go right back on the attack. I'm actually more sarcastic than I am mean -- that actually ticks them off even more." Emily Farmer and McEwan “Mac” Voorhees don’t have much in common. Voorhees turns 100 on Thursday, Oct. 27. Farmer just turned 25. Farmer is a magician at the piano. Voorhees prefers his beloved harmonica. Voorhees saves his days at Heritage Place Senior Living in Bountiful, Utah. Farmer freely spends hers jogging right past it on her daily workouts or sprinting to work as a supervisor at Deseret Book in City Creek Center. Despite their differences, these two share a special friendship that offers lessons in how to live a joyful, service-filled life. And it all began with an unexpected pitstop. One morning on a long run through Bountiful, Farmer noticed Heritage Place and felt inspired to stop and ask if they’d like her to play their piano sometime. The staff said yes, of course, and Farmer saw no reason to wait. Still in her running clothes, she sat at the piano and began to play. Since that first meeting nearly 18 months ago, Farmer has returned to visit Voorhees and play for the other residents at least once a week. While she plays, Voorhees sings along and often accompanies her on his harmonica. When we discussed his favorite tunes — “Let Me Call You Sweetheart” and “You Are My Sunshine” — Voorhees revealed they were among the songs he sang to his late wife, Helen. 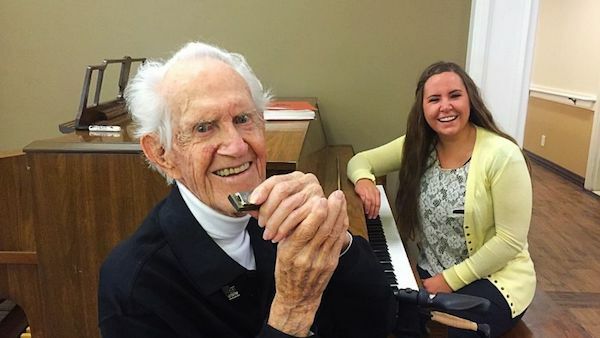 In addition to their jam sessions, they sometimes dance, talk about their faith and go for walks. Farmer has even taken her pal golfing at Lakeside in West Bountiful. Whenever they’re together, Voorhees is quick to offer his single friend dating advice. Farmer will often talk about someone she’s met and report on the good dates, bad dates and everything in between. Once when Farmer boldly told Voorhees he couldn’t pass away until she’d met her spouse and brought him by for introductions, her friend blurted, “You’re not shopping very good. You better hurry up!" Recognizing her dear friend won’t be alive for another 100 years, Farmer records what she calls his “Mac-isms” in a special journal. Among her favorites? When Farmer asked how he wanted to celebrate his big birthday, he didn’t hesitate to request a dance party with his fellow residents. No doubt it’ll be a party to remember. But neither Emily nor Mac will ever forget that their unlikely friendship started with an unexpected pitstop. Good for them. And, just maybe, good for us, too. 3. 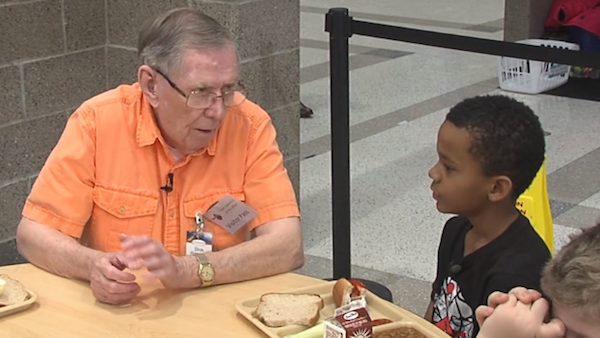 Unlikely Friendship: How an 83-year old and 9-year old became "Lunch Buddies"
They are the most "unlikely" lunch buddies. One is 83, the other 9. The "Lunch Buddy" program between the Eagles Elementary School and with Touchmark Senior Living, has created a bond you have to see to believe. Hot dogs, salad bar and baked beans. While in line 9-year old Jaime skips over to the salad bar and opts for something else, but it doesn't matter what's on the menu, because Tuesday's lunch is always a little extra special, because he's gets to see his friend... Don . Their friendship may look a bit unusual, given the 74 year age difference. "When you're on old guy with a cane. You never know how a kid's going to react," said Don Hogenson, Lunch Buddy. Their bond started because of the school's "lunch buddy" program with Touchmark Senior Living. It's another adult interaction, a person in their life to have to bond with. Parents can sign their child up if they think it would be beneficial to have some one-on-one time. "I couldn't have a better lunch buddy than him," said Hogenson. So, every Tuesday, Don enjoys some tasty cuisine with Jaime. What do a 3rd grader and a retired aerospace executive have to talk about? A lot more than you'd realize; today's topics ranged from school to life lessons to careers. It's been a really neat relationship to watch being built. Even though they see each other about 20 minutes together once a week. 'I look forward to this every Tuesday," said Hogenson. 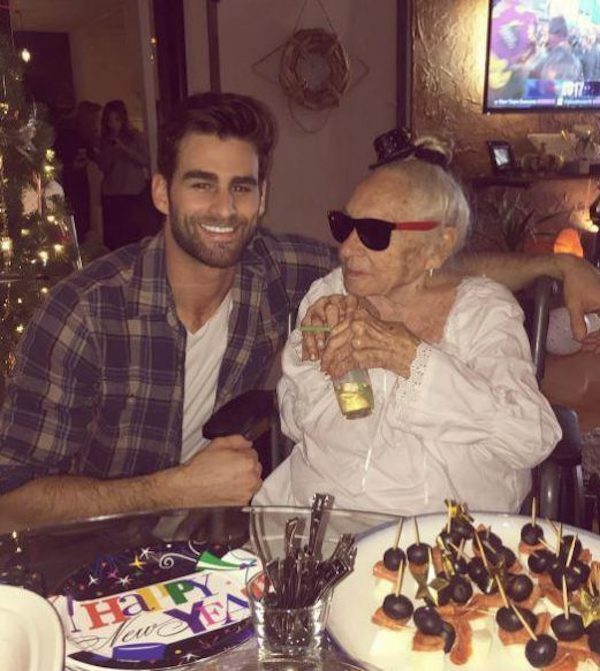 This is one friendship that shows, age really is just a number. Their friendship has grown outside of the lunch room, too. Don bought Jaime a birthday present and invited his family over for dinner a few weeks ago. Ever since Chris moved into an apartment across the hall from Norma Cook, the two were inseparable. Tragically, Norma passed away this week and Chris shared the sad news with a touching social media post. He wrote: “It’s with a heavy heart that I share the news that earlier this morning the world lost a truly inspiring, beautiful woman. “Norma is now resting peacefully in the eternal and while she may no longer physically be with us, her spirit will continue to fill the hearts of so many people. “Perhaps Norma’s lasting legacy is that her story helped the world to see the true meaning of love. “Norma reminded me that we all are created to love and all desire to be loved. “This year Norma has helped the world see the true meaning of Valentine’s Day. “To love another is not about living struggle free or never experiencing hurt or loss, but to fully and deeply open our hearts to one another without fear. “Each of us is lovable even with all of our differences. Love has no boundaries. It had all the makings of bad situation. Late at night, in an industrial section of Benicia, California, officer Kirk Keffer says he spotted a shadowy figure in a dark hoodie. Jourdan explained to the officer that he was just walking home from work. There was no crime. The kid didn’t need help. By all rights, officer Keffer could have, and many officers would have, just left him alone. But Keffer isn’t that kind of cop. He gave Jourdan a ride. And more importantly, he gave him a listen. “And to me that speaks volumes,” he said. 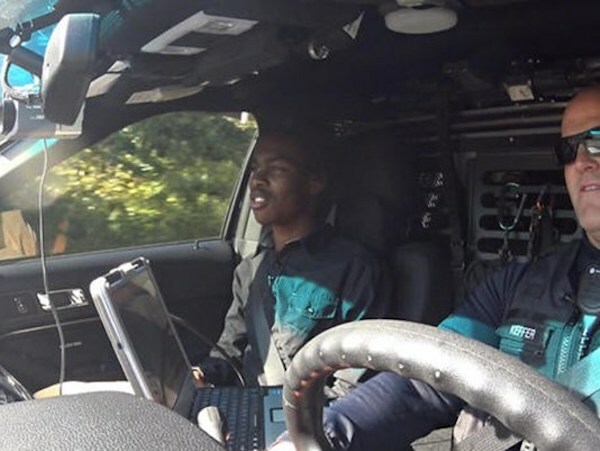 As Keffer took Jourdan from where he works on the line at Pro-Form Laboratories, he started to really appreciate the young man sitting next to him. Because this wasn’t just a trip around the block. 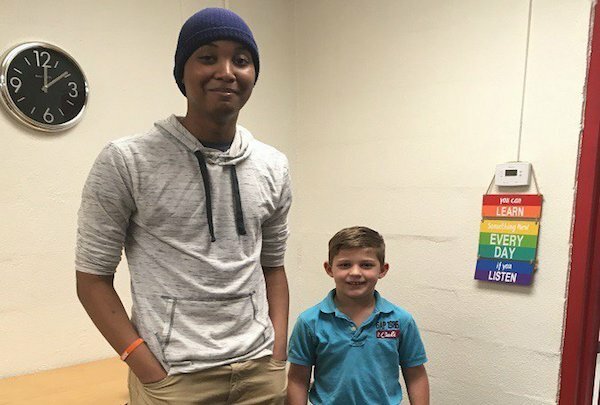 A second-grade student at Community Christian School in Bradenton knows the meaning of putting others first. For months, 8-year-old Jeffrey Holz has been saving up for the Lego set he’s always wanted. But with a $100 price tag, it wasn’t easy. By the middle of January, Jeffrey was just $12 short of his goal. Then he learned about a senior at his school who’s been fighting cancer, and decided he had a new plan for his hard-earned cash. Richard Gallop, 17, was diagnosed with cancer back in September. As an athlete with his sights set on college next year, staying positive has been challenging. On Wednesday, Richard and Jeffrey met face-to-face for the first time. And with a high-five and a few smiles, the boys became fast friends. Pupils from a local school have spent time with a Hailsham care home resident after they formed a special friendship last year. 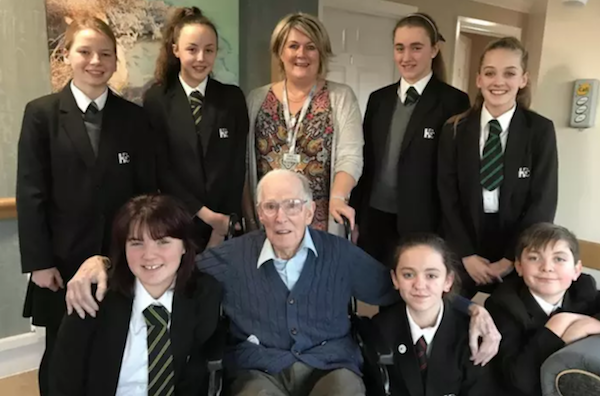 Doug Tamsett, aged 93, a resident at Bowes House care home on Battle Road, received a visit from pupils from Hailsham Community College, and enjoyed the afternoon chatting over tea. The special relationship started last year, when it became a tradition for the students to give Doug a wave on their way home from school as they passed him each day. In December, the pupils surprised Doug with a special visit and a Christmas present. 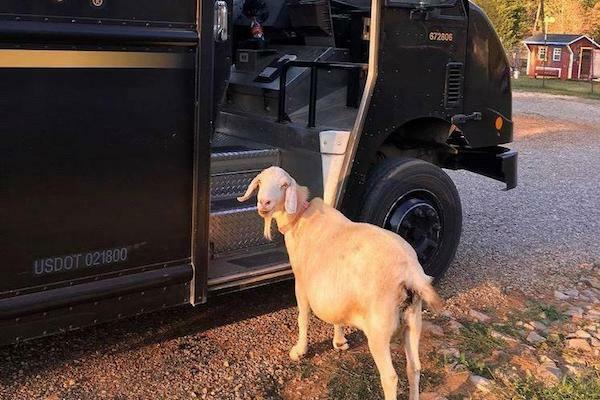 Pearl, a rescued goat living at a Tennessee barn, and a local UPS delivery man has formed an unlikely friendship. Every morning, when the driver pulls up, the 18-year-old goat struts up to the van, and says hello. According to Stephanie of The Gentle Barn, Pearl often waits outside the truck as the UPS man is delivering packages, and sometimes even hops in the van and makes herself comfortable. In return, the deliveryman often brings her peanut butter treats. "Pearl roams our 12-acre property freely throughout the week and is always getting into some kind of trouble," Stephanie told InsideEdition.com. When the goat isn’t sniffing around the UPS man, Stephanie explained Pearl loves sneaking into the kitchen and grabbing collard greens. “She is always around for a great laugh,” she said. 0 Response to "8 Beautiful And Unlikely Friendships"